Where do I even begin? The short version of a very long and tiresome story is that Heather did NOT have surgery today after all. Our hope is she will be rescheduled for tomorrow morning pending some additional (and likely, unnecessary) test results expected to come in around 8 a.m. 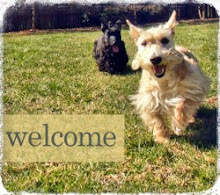 I got the initial call about two hours after I dropped Heather off at the V-E-T for her scheduled surgery saying her blood glucose level remained low and they wanted to consult with the specialist we had seen a month prior to this event before moving forward. Only problem was: he was out of the office. A half day and a lot of back and forth later, I realized the surgery Heather needed was just not going to happen so I jumped in the car and drove 45 minutes to go pick my girl up. As if surgery day isn't already upsetting and stressful enough, I was (and still am) struggling to understand why the service I had scheduled was not performed and why I now had to jump through the hoops of even more testing to get clearance for a surgery that was already requested by another V-E-T. 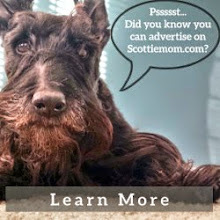 I won't bother with all the details as I'm sure every Scottie Mom and Dad has dealt with this before...You take your fur kid to the V-E-T for A, end up being tested for B, C and D, and end up paying a fortune in the name of "playing it safe." Veterinary care draws a fine line between necessity and extortion these days. Tomorrow, we should get confirmation that the latest battery of "extra precautionary" test results are in and that she is able to undergo anesthesia. Meanwhile, I take some comfort knowing Heather will be in the care of another V-E-T at another facility. I feel your pain girl. Just breathe. I know there's nothing I can say that will calm you down until you get the 'beather' back in your arms AFTER surgery. Prayers for your sanity meanwhile. And of course, prayers for Heather. The upside is that she doesn't have diabetes. I just finished this about a month ago. Too bad you didn't go to my vet-he wouldn't rip you off-I made him rich already. SO sorry you have to go through this again! I understand just how stressful this is for you, and for Heather Beather too. Prayers still going up for paw-sitive outcome and complete recovery. Making an already stressful situation even more stressful is not ok in our books. We've got our paws crossed. Thanks for the update. 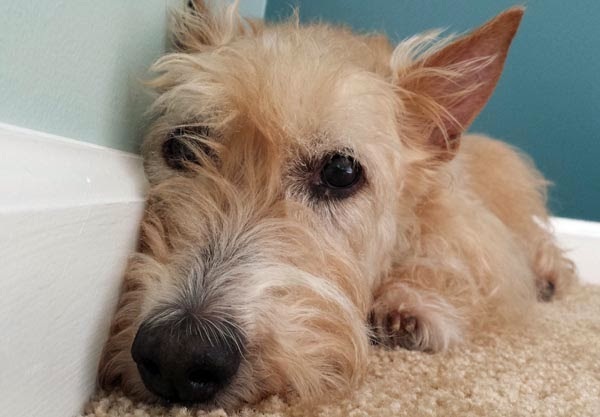 After losing a pet because the VET did not run enough tests I can understand the delays. Sending prayers to Heather and your family for all good things. Sorry to hear about all this. I can totally relate. I'm getting ready to take Chewie to her 3rd vet in 3 years. I'm constantly amazed at vets around here. You are completely right, there is a very fine line between necessity and extortion. Most of the vets I've met have used scare tactics to try to convince me that Chewie needs unnecessary surgery. What worries me the most is, why would a vet (who is supposed to put the animal's wellbeing first) put a poor helpless dog through an unnecessary and traumatic surgery? I think we all know the sad, but true, answer to that. Something is very wrong with the veterinary profession these days. It saddens me that we have to search so hard for a vet that is in for the compassion and care of the pets, not the money. If only they could talk and tell us what is bothering them. I feel your pain. Know that there are a lot of people that are wishing you the best outcome. You really have to have a good relationship with the vet and be able to accept their treatment plan as the best one for you, not for their bank account. Terrible stress. Have a BIG glass of wine, and call and have your credit line increased. Been there!